In my last post, I clarified the role of FERPA when it comes to the sharing of student information for the purpose of keeping others safe. 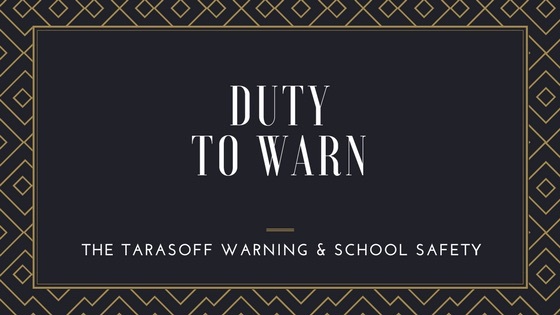 If you are a counselor, social worker, psychiatrist or psychologist, you are no doubt familiar with the Tarasoff Warning. This legal responsibility stipulates that mental health professionals have a duty to warn if a client or patient threatens to harm someone. The Tarasoff Warning is the result of a case that occurred in 1969, resulting in the death of Tatiana Tarasoff. In September of 1967, Prosenjit Poddar enrolled as a UC-Berkeley graduate student. He met Tatiana Tarasoff in 1968. They saw each other throughout the fall, but at one point, Tarasoff told Poddar that she was not interested in a relationship with him. Poddar began to stalk Tatiana. He became depressed and neglected his appearance, his studies, and his health. He often isolated himself, spoke disjointedly and cried frequently. This behavior worsened throughout the spring and into the summer of 1969. Poddar and Tarasoff met only occasionally during this time. Tatiana Tarasoff spent the summer of 1969 out of the country. After her departure Poddar obtained psychological help. He was a patient of Dr. Lawrence Moore, a psychologist at UC-Berkeley’s Cowell Memorial Hospital. Poddar confided that he planned to kill Tarasoff. Dr. Moore requested that the campus police detain Poddar, writing that, in his opinion, Poddar was suffering from paranoid schizophrenia, acute and severe. The psychologist recommended that Poddar be civilly committed as a dangerous person. Poddar was detained but shortly thereafter released, because he appeared rational. Dr. Moore’s supervisor, Dr. Harvey Powelson, then ordered that Poddar not be further detained. In October, after Tarasoff had returned to the country, Poddar stopped seeing his psychologist. Neither Tarasoff nor her parents received any warning of the threat. On October 27, 1969, Poddar carried out the plan he had confided to his psychologist, stabbing and killing Tarasoff. Besides the duty to warn, there is another takeaway from this story. Persons can appear rational at times and still be dangerous. In my staff training on threat assessment, we talk at length about impression management, a behavior at which a number of past school attackers have excelled. Following a lawsuit initiated by Tarasoff’s parents, The California Supreme Court found that a mental health professional has a duty not only to a patient, but also to individuals who are specifically threatened by a patient. This decision has since been adopted by most states in the U.S. and is widely influential outside the U.S. 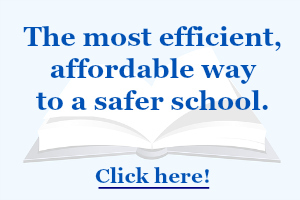 The specific laws in each state vary slightly, and can be found here. As with the exceptions to confidentiality that exist with FERPA, the Tarasoff Warning provides for disclosure of specific client or patient information to protect others. Both of these should serve as a guideline for sharing necessary information with others who have a need to know, in order to protect those who trust us to keep them safe on a daily basis.